Ca-ro-nee-ya, Ca-ro-nee-ya...it's been like what? Over 15 years maybe and yet the melody of this old Caronia jingle is still stuck in my head. 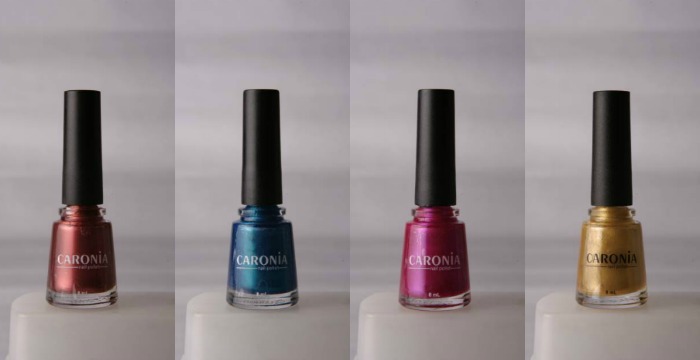 I mean, who hasn't heard about Caronia, right? Before the invasion of all these imported nail laquer brands into our country, there was only Caronia and to this day despite the abundance of competitors in the nail polish industry, Caronia still stands as one of the most succesful, popular and recognizable brands...and for good reason. They provide high quality Nail products at very affordable prices. But they don't just stop at that. Caronia understands the needs and wants of the modern woman. They know that we are constantly evolving creatures developing more sophisticated tastes over the years. Because of this, Caronia has decided to develop a new campaign which tackles the strong influence of colors in our lives. The way colors can serve as a chanel for self-expression and empowerment. 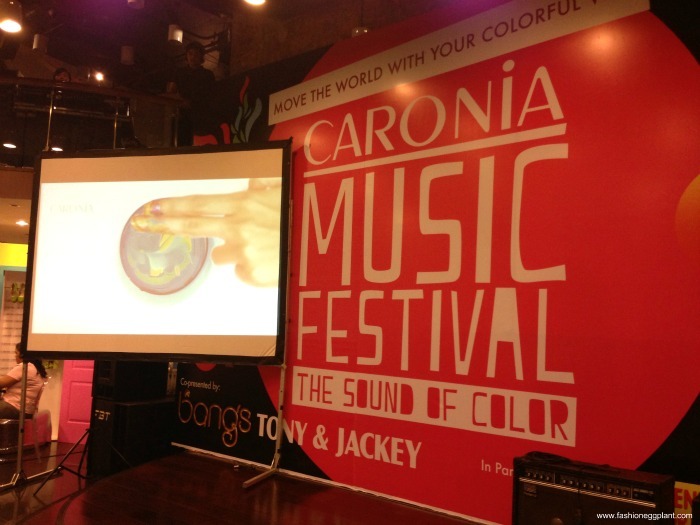 Introducing, Caronia: The Sound Of Color. The new collection has over 72 bright and trendy shades which are influenced by different genres of modern music. 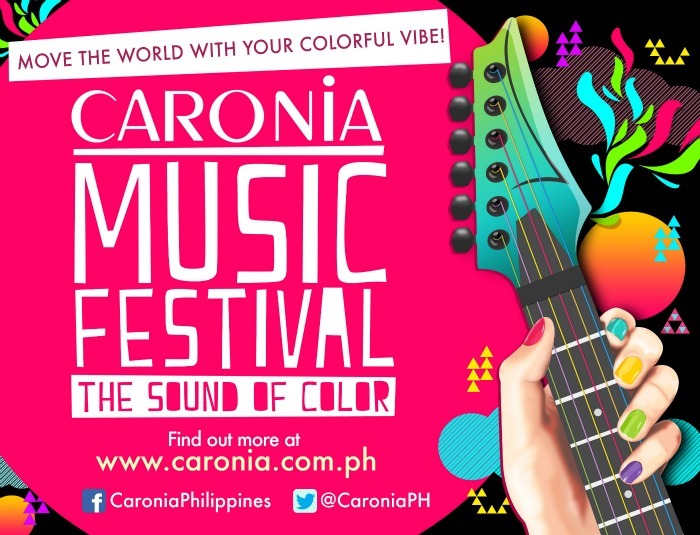 From the funky to the classic, the energetic to the serene, the harmonic to the edgy and loud, Caronia believes that the blend of these two timeless facets of self-expression-color and sound-are instrumental in inspiring women to share their passion to the world. To kick off the campaign, Caronia will launch the Caronia Jingle Contest, a search for the best and most talented local act who used their own sound to bring the artistry of the Caronia Jingle to brand new heights. This contest asks people to perform their own rendition of the new Caronia jingle by Imago, with emphasis on how original and creative their entry is. 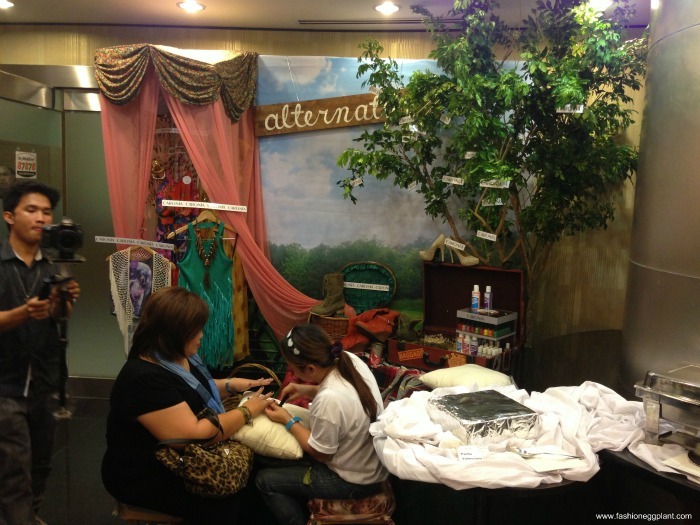 The culmination of the campaign will be held at the Sky Dome of SM North this November 8 but yesterday, few bloggers and members of the press were invited to a mini version of the actual affair at the RCBC Enterprise building complete with nail stations and live musical entertainment. 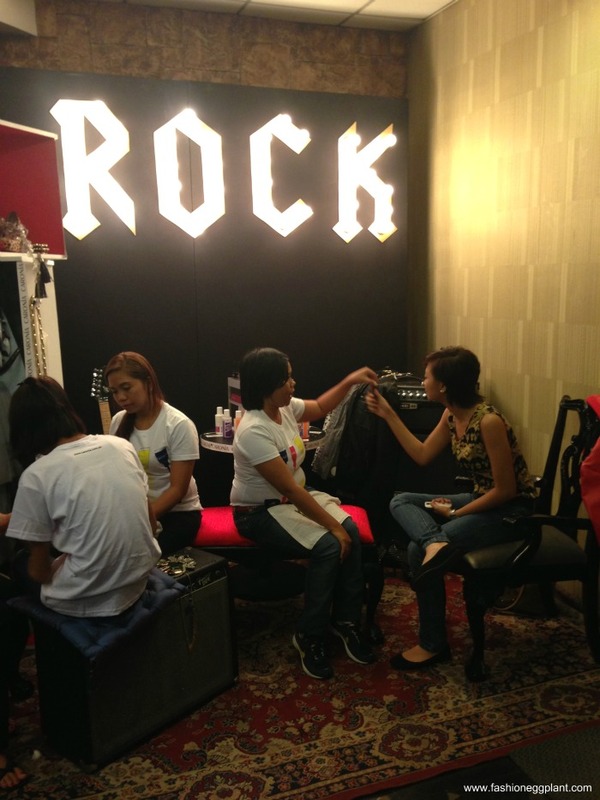 The pop booth featured saccharine, pastel shades, the rock, darker, more dramatic metallic hues and the alternative concetrated on neutral earth tones. Check out the awesome nail art...I opted for black nails with little white crosses while the girl before me got British flag nails which I thought looked fantastic. 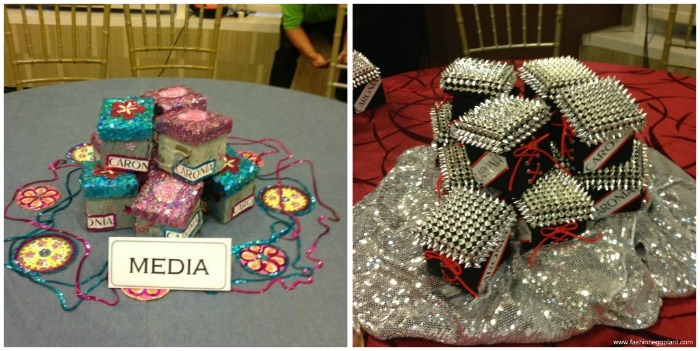 After the festivities, we got to take home samples from Caronia's new collection which were boxed in the same theme as the music that influenced the colors.